It looks like Indian cricket team is on a winning spree in the ICC World T20. Even though, India made some blunders in the last game against West Indies, the team managed to win the hearts of many after sealing the second consecutive win. India crushed West Indies with seven wickets in the Super-10 clash at the Sher-E-Bangla National Stadium on Sunday. India won the match during the 19th over. West Indies racked in 129 runs and India chased the target with Virat Kohli’s sparkling 54 (41 balls, 1X6, 5X4). Rohit Sharma supported Virat on the field and he remained unbeaten on 62 (55 balls, 5X4, 2X6). Their second-wicket partnership ensured India’s victory. The real heroes of the match were the bowlers and MS Dhoni’s superb captaincy. His great captaincy and right decisions helped India win the match. People thought he would start with R Ashwin, instead he gave the ball to Meerut seamer, Bhuvneshwar Kumar. He didn’t disappoint at all. Kumar was spot-on on the wicket. He beat the bat in numerous occasions and his first spell was great. He just gave three runs off his first three overs. Gayle was dropped by R Ashwin in the first slip. It could have cost India dearly. In the Super-10 Clash between India and West Indies was going to be between Chris Gayle and the spinners from India. Gayle smashed a six over long-on on Amit Mishra’s first delivery. Yuvraj Singh dropped Gayle at deep mid-wicket. However, Amit Mishra’s spectacular return catch send Smith back to the pavilion for 11 (29 balls). Gayle was run out and he scored 34 in 33 balls. Samuels soon followed Gayle to the pavilion and was stumped off Mishra. Soon, Mishra trapped Dwayne Bravo leg-before the first ball, he was on hat-trick, but Darren Sammy avoided the hat-trick. Visit Garg Sports International’s website, here and check out high-quality cricket equipments. Long time ago, there was only one kind of yoga mat available. It used to be made of PVC and came in blue or purple. However, things have changed and now you can get different types of yoga mats. Apart from the colour and patterns, you have to understand that your yoga mat should be cushy and comfortable as well as storable and portable. Read on this GSI guide to choose the right yoga mat for you. 1. 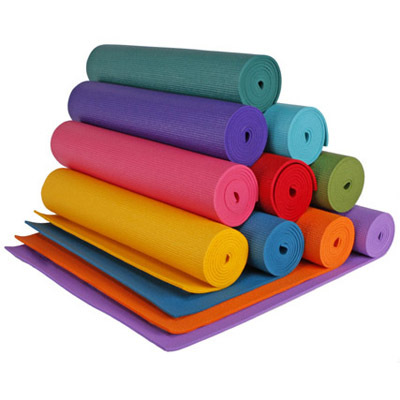 Material of the yoga mat: The material of the yoga mat determines the texture and sponginess of the mat. You can choose from thickness of foam 4mm, 5 mm, 6 mm and 10 mm or a different material cotton rug. 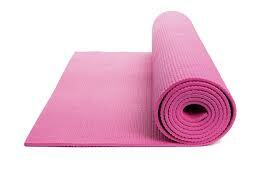 Foam Yoga mats have most sponginess compared to cotton rugs. 2. Thickness of the mat: Thickness plays a key role in comfort. If the mat is too thin, then you might end hurting the knee but if the mat is too thick then you won’t be able establish a connection with the floor which is required for some asanaas. You can choose from the standard 6mm to 4mm. You can also buy travel yoga mats meant for avid travellers. These come with a draw string bag in two materials non woven and cotton printed material. Non woven is a long running item that symbolises strength while cotton printed yoga mat shows colourful attribute. 3. Texture of the yoga mat: Texture plays a key role in determining the stickiness of your yoga mat. Texture also affects the slipping and sliding on the mat. Yoga mats come with different textures from rough to smooth. 4. Style: You can go for different colours that are available here at Garg Sports International. There are different patterns and prints available for the users. Couple yoga is upcoming trend in suburbs and for that we have Yoga Mat premium of size 6ft X 3ft. 5. Price range for yoga mats: We do not sell chinese quality Yoga Mat. Our Yoga mats are for serious yogis who want long durable yoga mats. You can browse through Garg Sports International’s yoga mats collection, here. The modern yoga community gives a lot of importance to yoga mat. Your yoga mat is like your silent partner when you are first starting off with the asanas. It is important for you to choose the right mat and you can read the GSI Guide to Choose the Right Yoga Mat. 1. Yoga mat provides you support and padding. Many people find pressing their palms, knees, elbows on the ground or floor painful. Yoga mat provides additional support to the practitioner so that he or she can perform the pose comfortably. Also, many find practicing yoga on bare ground unhygienic and prefer to use yoga mats as barriers. Sticky mats help the practitioners to hold their positions and move safely between poses. 2. Yoga mat helps in the absorption of sweat. If you practice yoga on floor, you might slip because of sweating. For instance in hot yoga classes, the room is heated and it is essential to perform on a yoga mat. 3. A yoga mat transforms the place of practice into a “sacred” one. There is a difference when you practice on the floor and on the yoga mat. When you practice on a yoga mat, it becomes your place to practice, this is essential if practice with other people in a studio or a yoga facility. When spend more time on your mat, you understand the nature of it. You feel the texture and slowly your body responds to the mat. It becomes your yoga partner in a way. The more time you spend on the mat the more get attached to it, spiritually. As soon as you step onto your yoga mat you enter into an altered realm. You can visit Garg Sports International’s website and learn more about the yoga mats.